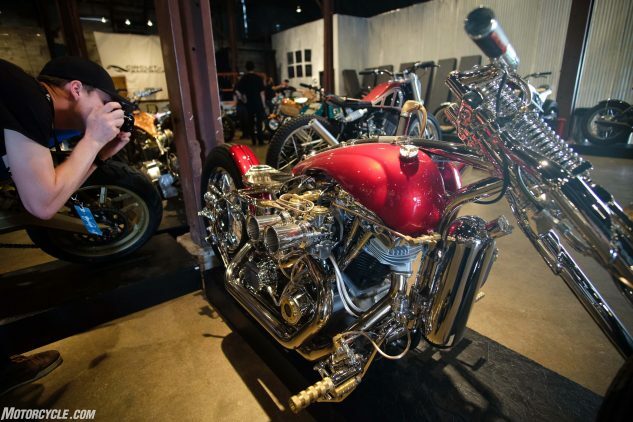 Hand built. 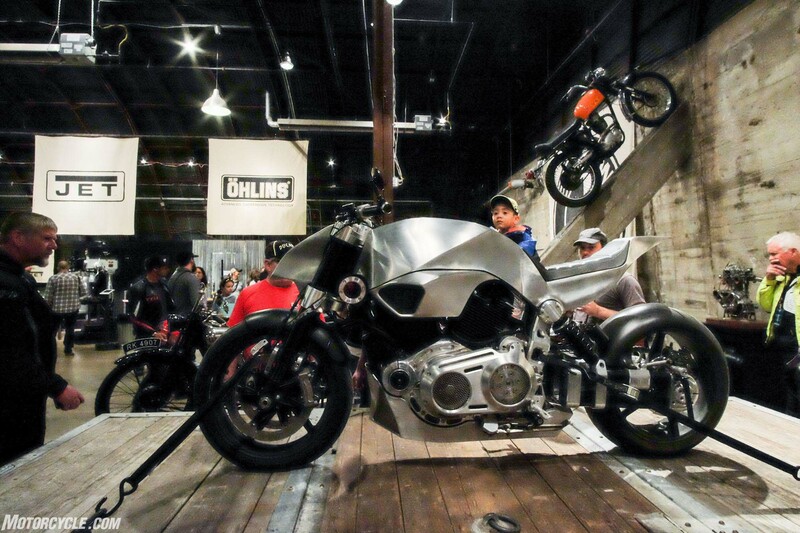 Built by hand. Leaving you dirty, greasy, insomnia-riddled, and each creation filled with heart and soul from the maker. 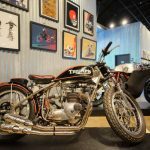 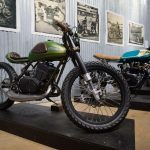 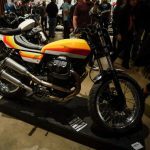 The Handbuilt Motorcycle Show in Austin, Texas, thrown by Revival Cycles, is a heavily curated show featuring really creative custom bikes from builders located across America. 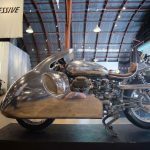 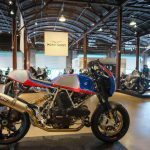 Highlighting detailed craftsmanship in motorcycles that could easily end up in a museum one day, the Revival crew focuses on inviting people who don’t simply build bikes, but consider them works of art. “Although in today’s modern mass-produced world few young people are taught how to do physical work or are encouraged to embrace a trade, there remains a universal attraction to the beauty that can only be formed by human hands,” says Revival’s website about the show. 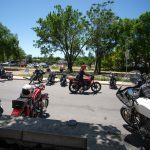 Taking place during the MotoGP weekend at Circuit of the Americas (COTA), the event brings an impressive amount of foot traffic. 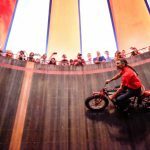 Last year some 34,000 people were in attendance over three days. 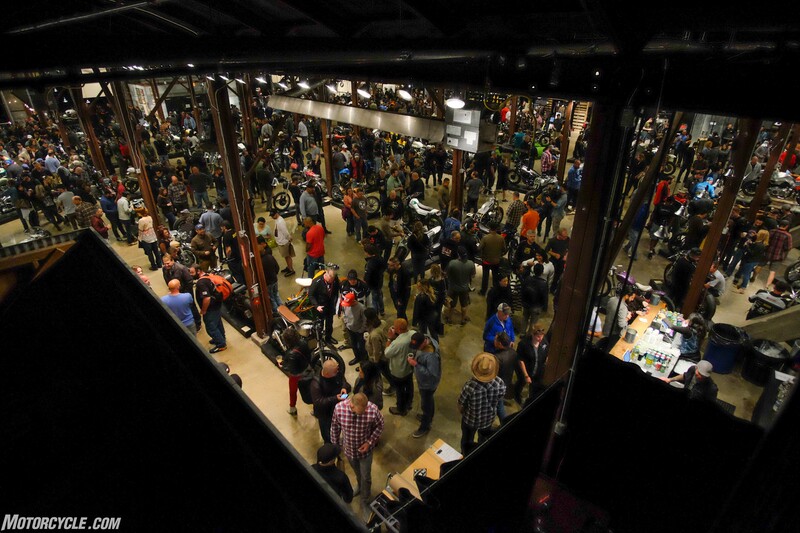 While this weekend’s numbers are still out, we can assume it hosted a similar amount of people, judging by the ever-present line down the side of the building caused by capacity limits (despite the newly introduced entry charge). 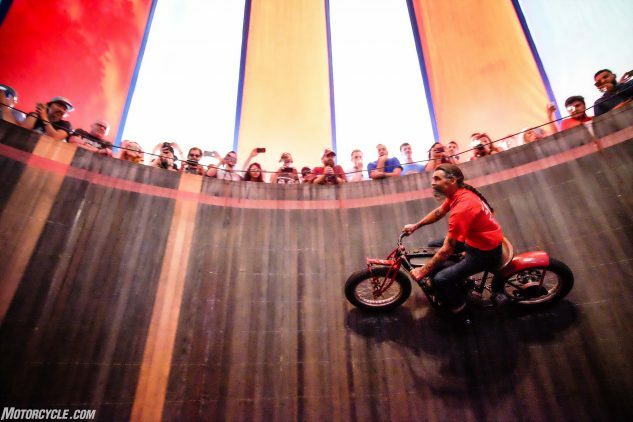 Access to the show Friday night, all day Saturday, and daytime Sunday could be had for just $15 and included as many Wall of Death shows from the American Motor Drome Company as you wanted to wait in line for. 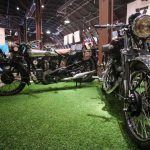 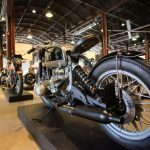 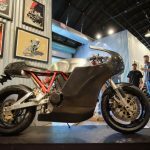 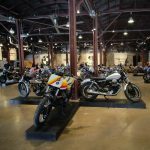 Almost the entire motorcycle industry comes to Austin for MotoGP, so why not throw a custom motorcycle show on the same weekend? 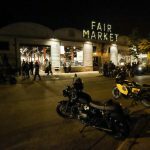 Revival even stays open until midnight on Friday and Saturday so show-goers can go check out the retail store. This year Rev’It! 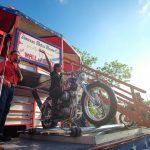 organized a free shuttle/party bus between the races and the Handbuilt show, making it super easy to roll back and forth between the two. 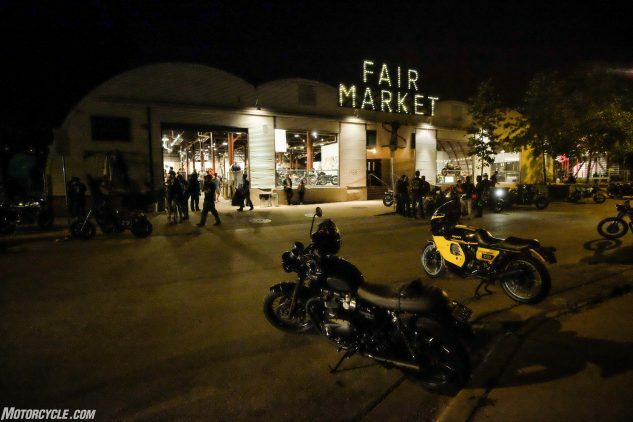 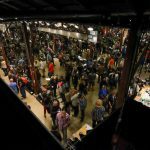 The venue, Fair Market, is located on Fifth Street near downtown Austin, 20 minutes from COTA, and just a hop and a skip from great food, bars, and hotels. 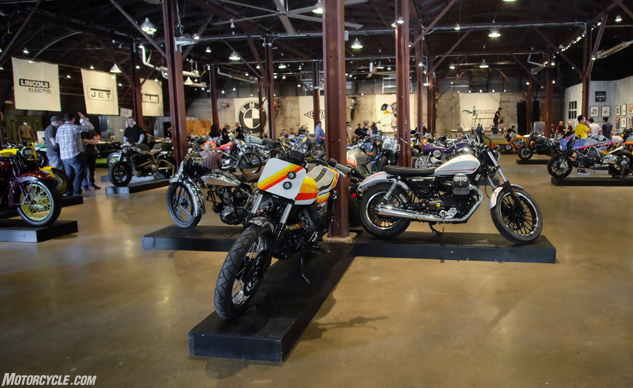 Big, open, and airy, with an awesome outdoor courtyard, it easily holds close to 100 bikes and onlookers while still having room to properly see the motorcycles. 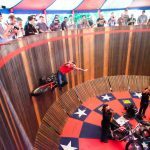 The beautiful customs and the Wall of Death Thrillshow are just the beginning… you could entertain yourself for days without leaving the event. 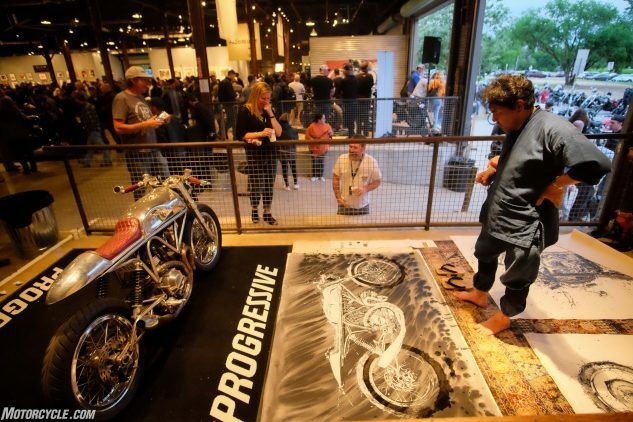 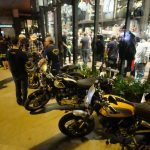 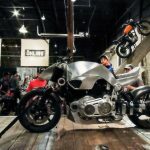 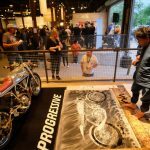 Check out a collection of art from the Oil & Ink Expo motorbike art show, patronize four strategically located bars, watch Makoto Endo paint life-size motorcycles with chopsticks, try on Rev’It! 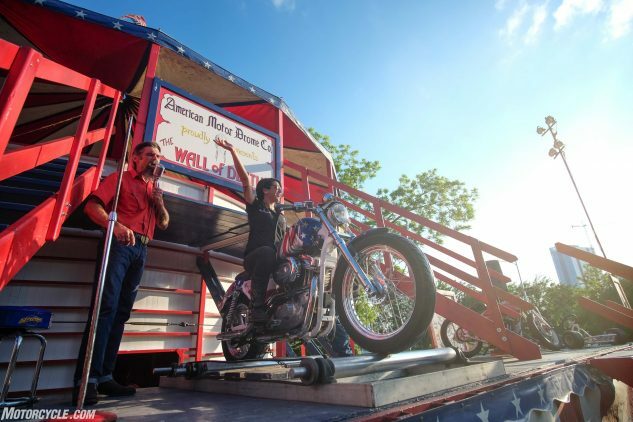 gear, get your boots shined or hair trimmed in the Progressive Insurance rider corner, or get your grub on at three food trucks out front. 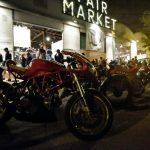 Could it get better? 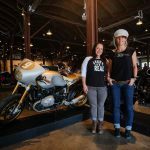 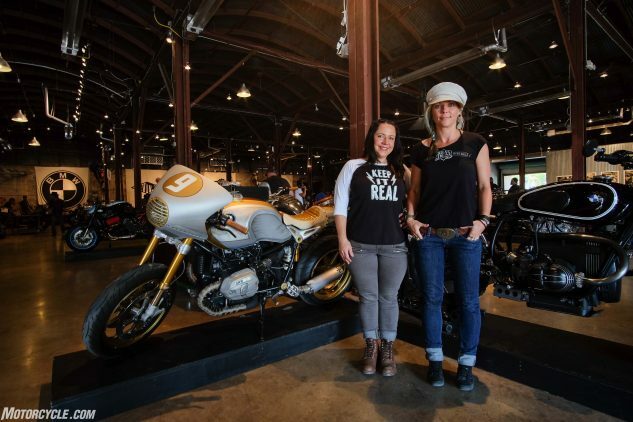 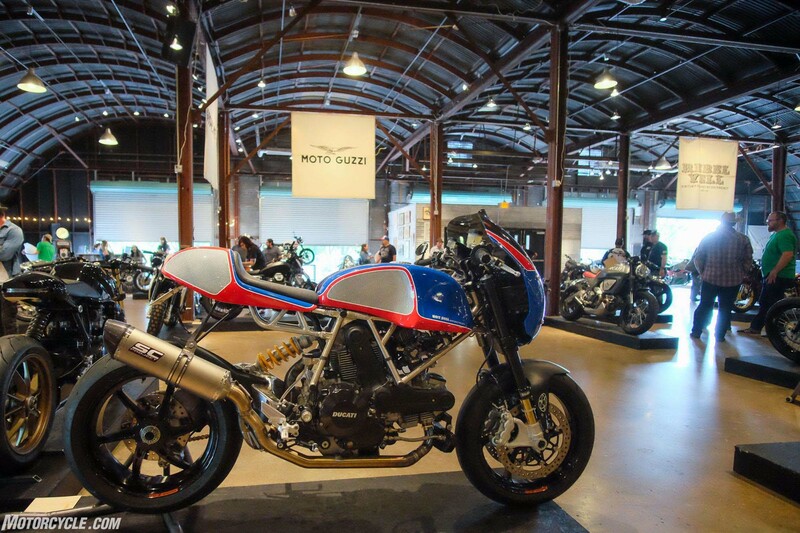 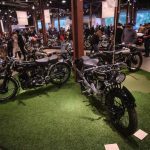 Add in the ability to talk two-wheel love with some inspirational builders and humans like Jessi Combs, Max Hazan (Hazan Motorworks), John Ryland (Classified Moto), Magnus Walker, and so many more… you’ve got one hell of a weekend. Below are just a few of the machines that caught my eye. 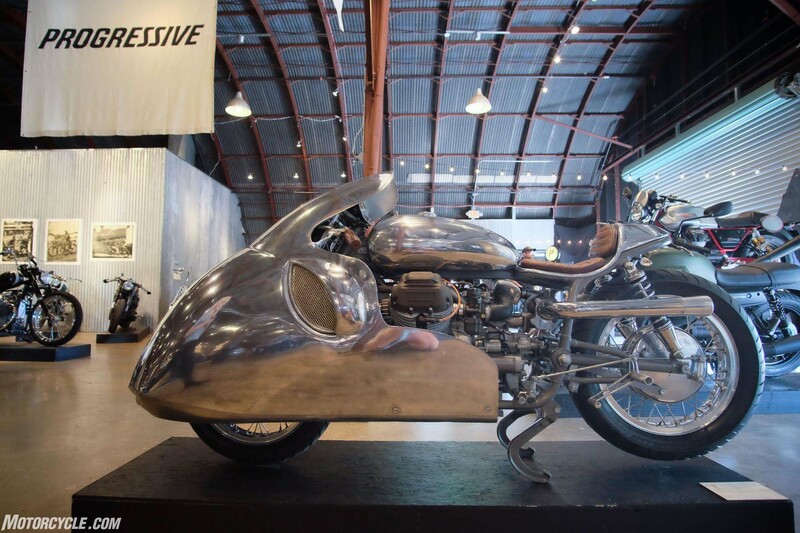 Gorgeous turbocharged 1969 Moto Guzzi Ambassador streamliner from Craig Rodsmith. 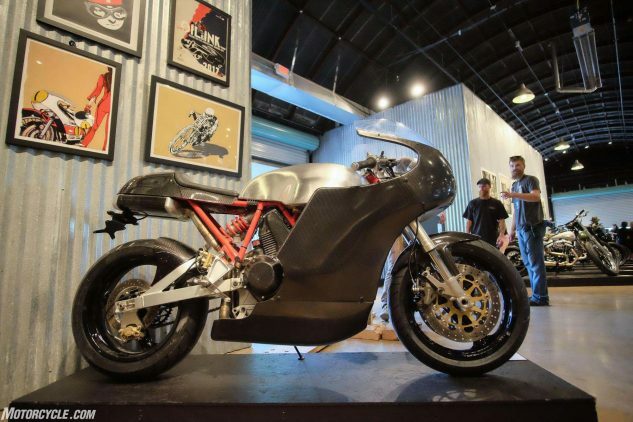 The Motor Works built this carbon-fiber-riddled Ducati 900SS. 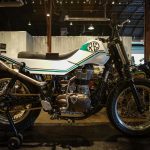 Krossover Customs RD350 dual-sport cafe-racer mash-up build. 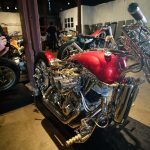 Revival Cycles built this custom around a crashed Confederate. Walt Siegl bringing a classy custom Ducati as usual with a Desmodue Evoluzione engine. 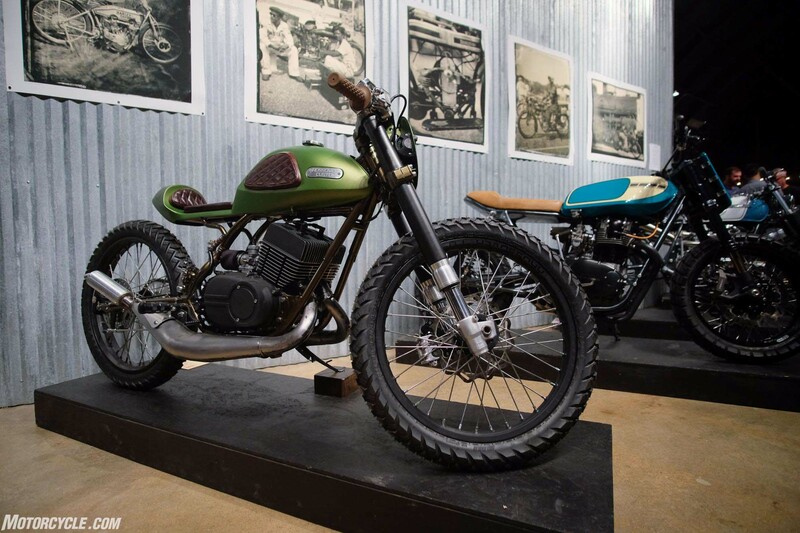 Add Handbuilt to your must-see show list, you won’t be disappointed.